This is another great recipe from the cookbook, The Modern Baker. 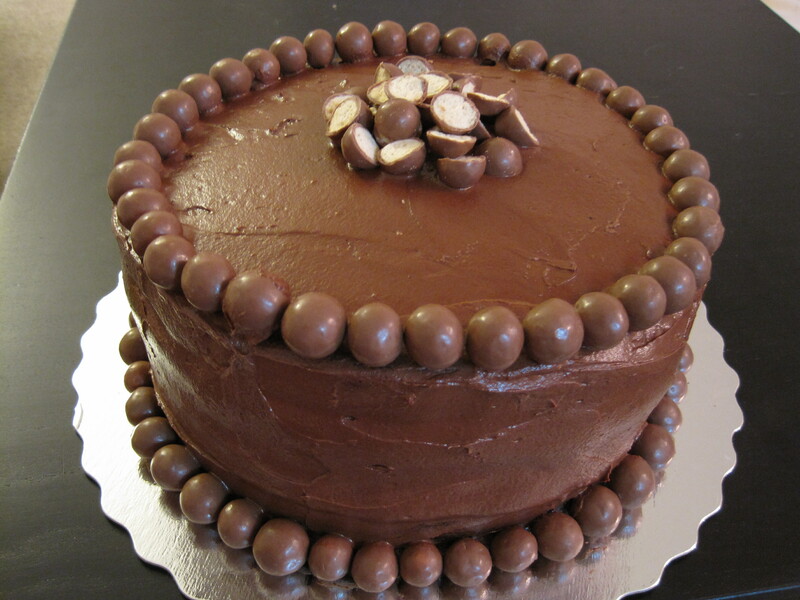 At first, I was doubtful that this cake would be flavourful enough for my taste, but I was very pleasantly surprised. 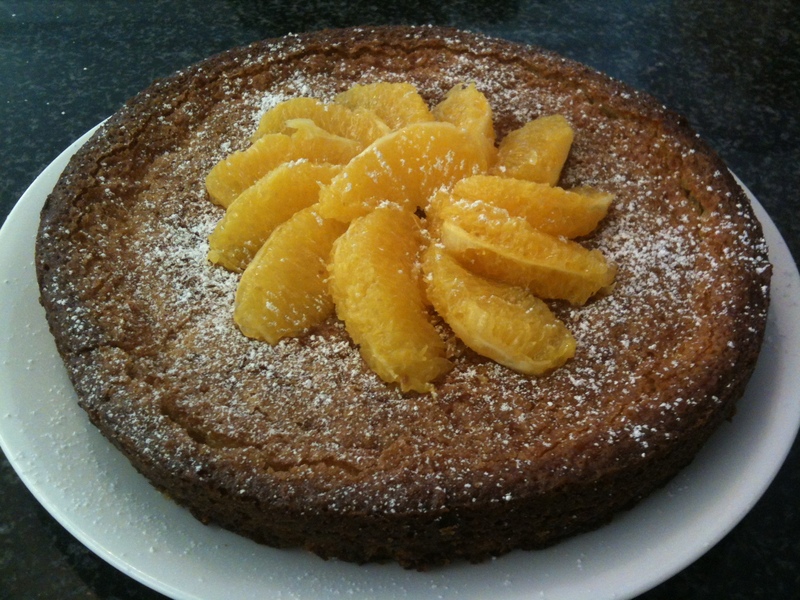 This sophisticated, citrusy cake is a great finish to a heavy meal. I made it for Thanksgiving dinner. Everyone that tried it really enjoyed it. Even John’s mom, who isn’t normally a fan of cake, liked it. I love that this cake is moist, easy to make, and relatively healthy since it uses olive oil as opposed to butter or vegetable oil. Also, I love the crunchy and slightly sticky crust. This is served as a one-layer cake, but the recipe makes two layers, so you can make these in advance and freeze them for future dinner parties. Although this may be the ugliest cake I’ve ever made, it is the best lemon layer cake that I have ever 1. eaten and 2. made. This triple-lemon cake consists of four layers of cake, two layers of lemon curd, one layer of whipped cream and fresh blueberries, and a covering of whipped frosting. 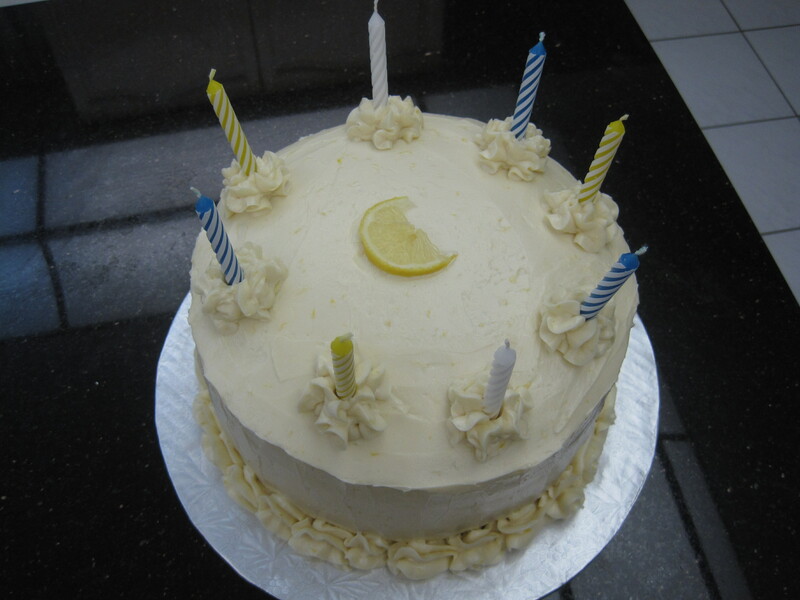 There is lemon in the frosting, the cake layers, and, of course, the lemon curd filling. I know it sounds like a lot of work, but many of the components can be made days in advance and it truly is worth it. I love making baked goods that use sour cream, because I always have trouble finishing a tub of sour cream. 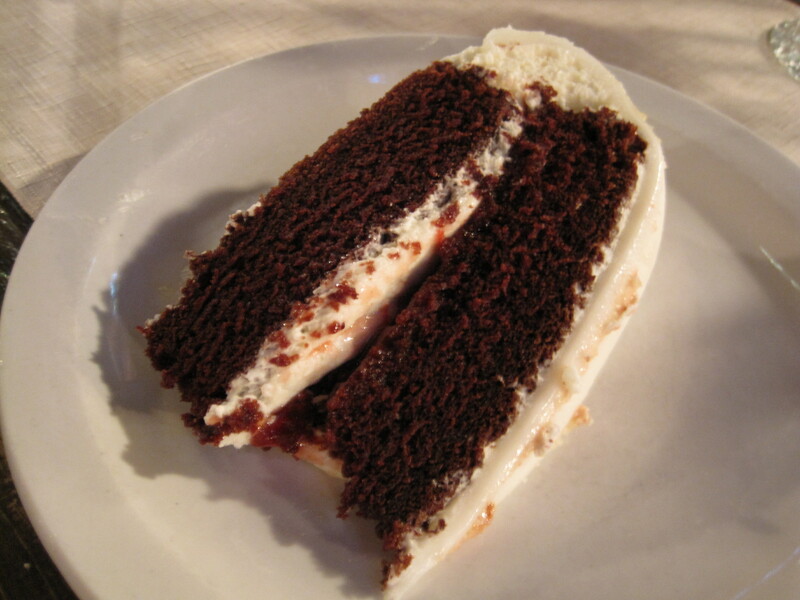 It also happens to give cake a great moist texture. 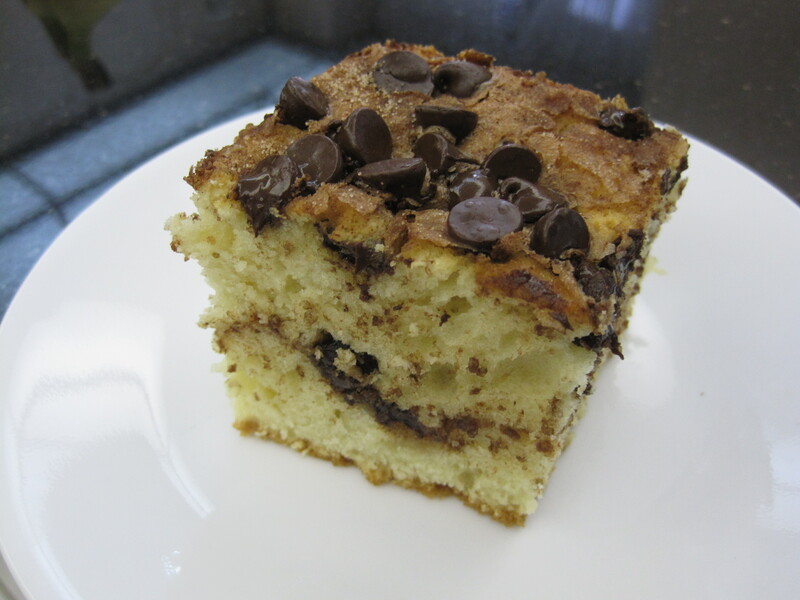 I made this sour cream chocolate chip coffee cake for co-workers and the flavour and texture received great reviews. For those of you who aren’t familiar with coffee cake, coffee cake doesn’t necessarily contain coffee. It is often simply served with a cup of coffee. 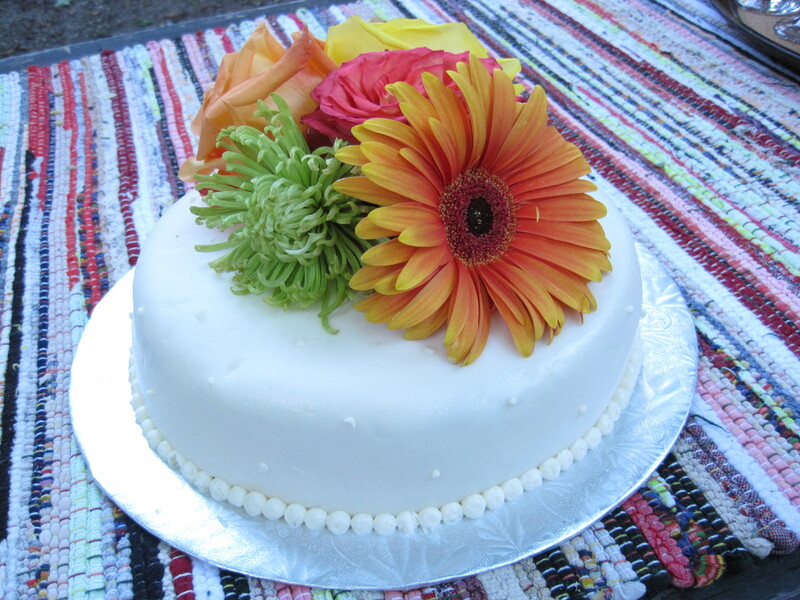 Swiss merginue buttercream is so good and versatile that it truly deserves its own post. Think of it in this way: swiss meringue buttercream is to buttercream frosting as Egyptian cotton is to 200 thread count bed sheets. Swiss meringue buttercream is stiff enough for piping and cake decorating, but it feels and tastes light, satiny, smooth, elegant, and luxurious. I love it when people taste it for the first time and turn to me with wide, adoring eyes, to ask, “What is this?”. 🙂 This is the stuff that the professionals use and you can easily make it yourself. It will take your baking to a whole new level. 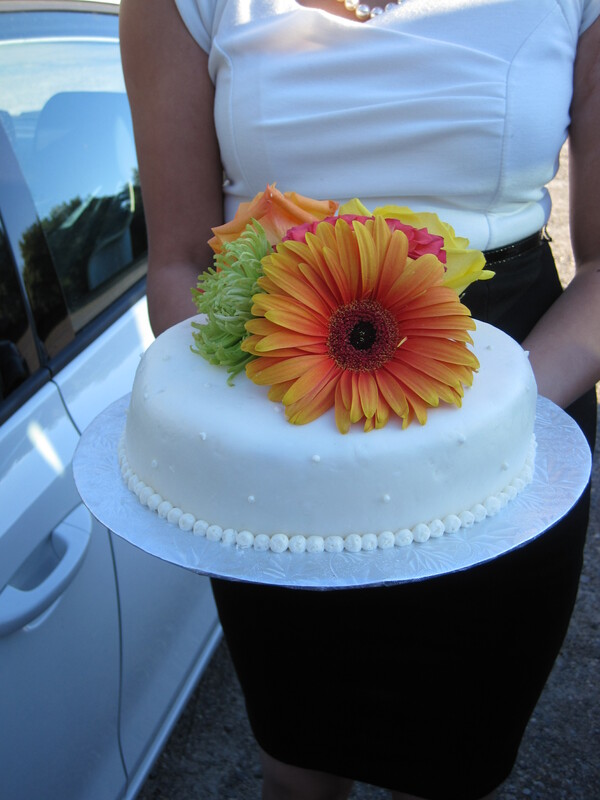 Although swiss meringue buttercream is slightly tedious and time consuming to make, it is definitely worth the effort. You can make a large batch and store it in the refrigerator or freezer. I have used swiss meringue buttercream for strawberry cupcakes, mini chocolate cupcakes, chocolate cake, and a wedding cake with great success. 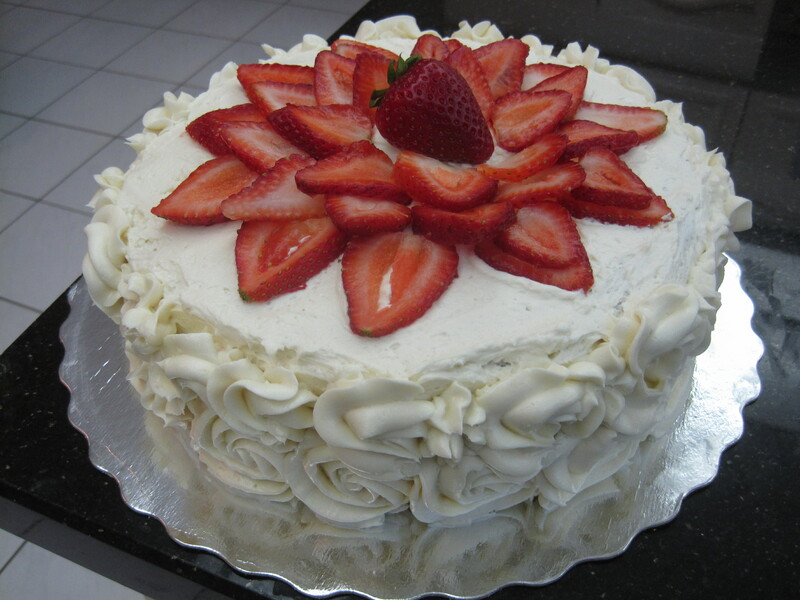 I originally shared the recipes for strawberry and vanilla swiss meringue buttercream in my yellow cupcakes and favourite moist chocolate cake posts, respectively. I recently made chocolate swiss meringue buttercream for my dad’s chocolate birthday cake and it instantly became my new favourite chocolate frosting. Ed went through a phase where he thought that trifles were his favourite dessert. I didn’t understand it and I was grateful when he finally realized how wrong he was, but I made them for him nonetheless. I made large trifles (see the ugly strawberry one below; recipe here), individual sized trifles (see my wild blueberry trifle below) and miniature trifles using small dollar store stemmed cups (unfortunately, I didn’t take a photo of those). Tip: I use one of the serving cups/glasses like a cookie cutter for the pound cake so my cake layers are even and the right shape. After a successful [first time] use of fresh cranberries in a cranberry sauce, I became obsessed with them. I baked cranberry bran muffins, two cranberry almond cakes, and a cranberry walnut tart. By the time the grocery stores stopped carrying fresh cranberries, I only had 1 cup left. 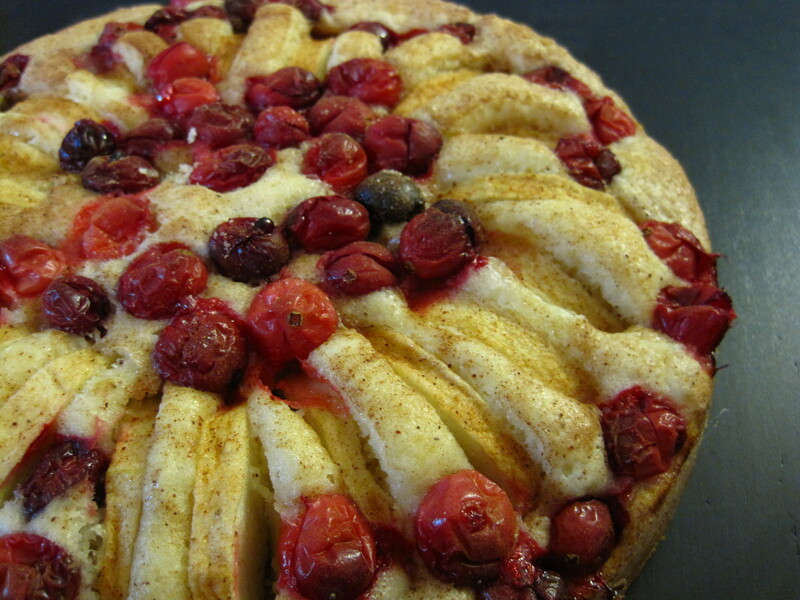 I was hesitant to use my last cranberries on just any recipe, so I was very excited when I discovered this German apple cranberry cake from Thomas Keller’s The French Laundry Cookbook. 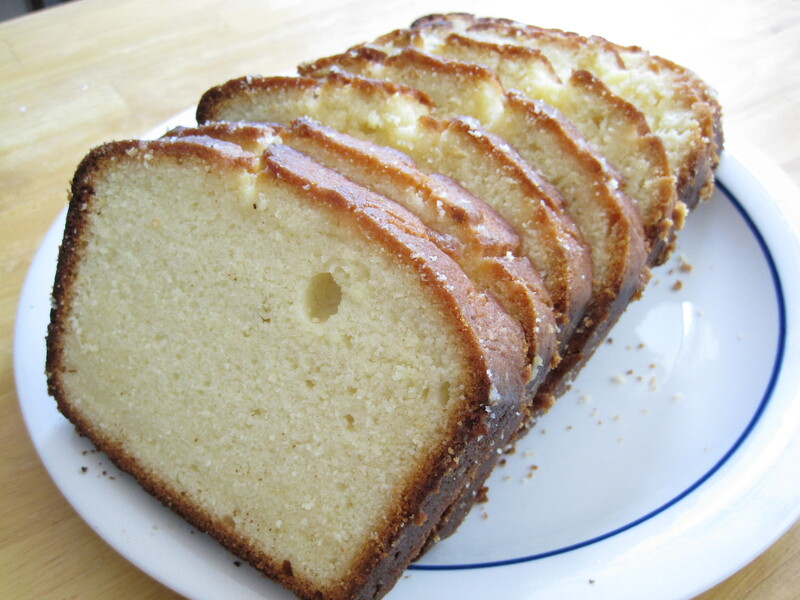 The cake is simple, moist, and nicely dense. 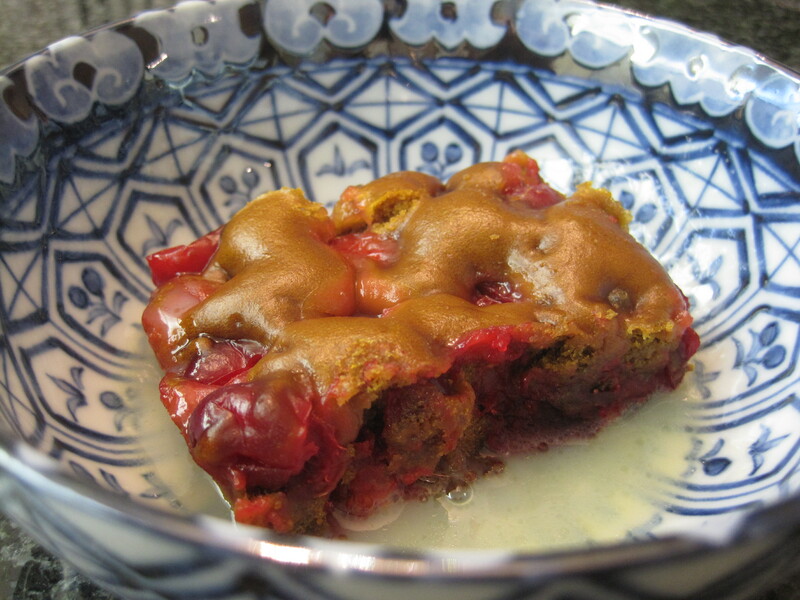 Although the cake is good on its own, I just love the comfort and indulgence of the warm sauce.